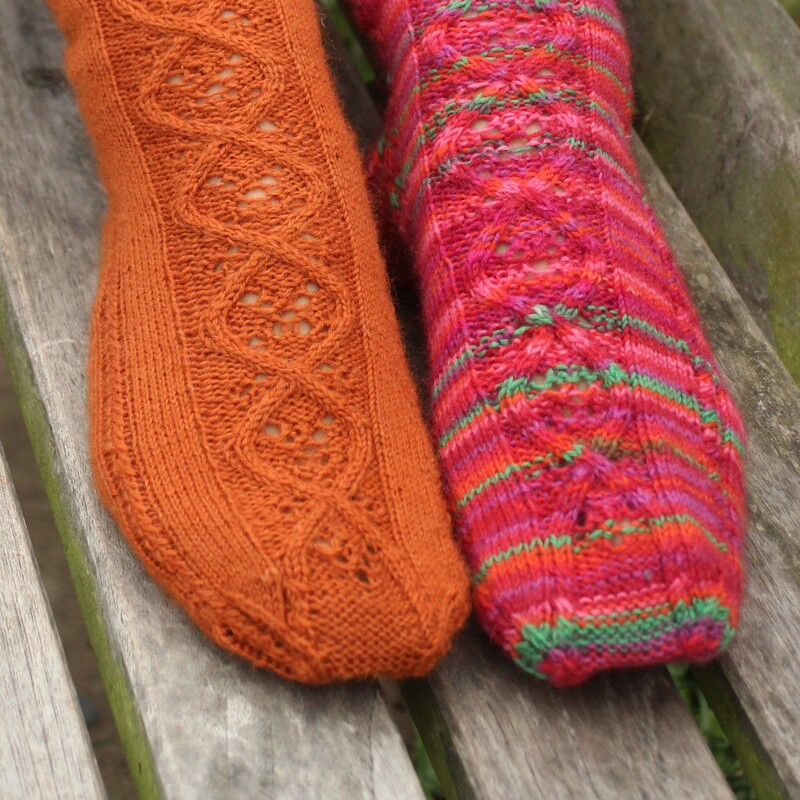 Recently lots of you have been asking the Yarn Doctors about sock knitting and in particular how to join the toes of your socks. We usually use Kitchener stitch, a sewing method that results in a seamless toe – so as comfortable as possible. Because there are a number of steps to the instructions for this method it can seem daunting or complicated but we have broken it down here to help you. First divide the stitches to be joined on to two needles. Usually that will mean folding your sock as above. However here we have used two different coloured swatches to show the stitch sequence more clearly. 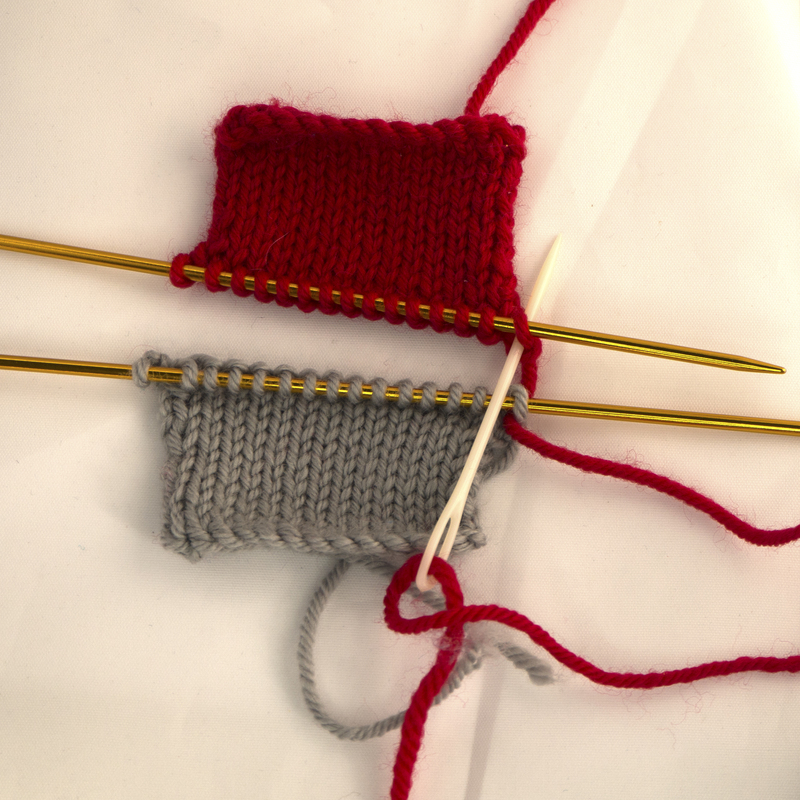 You can use double pointed needles or both ends of a circular needle (making sure both tips point to the right). 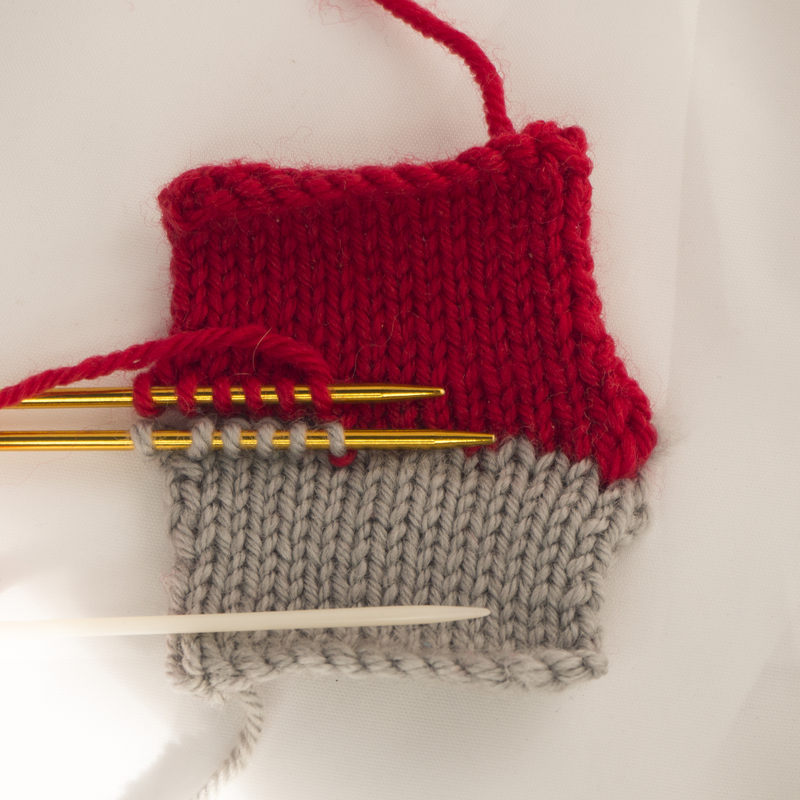 Insert the needle into the first stitch on front knitting needle as if to purl and leave stitch on the knitting needle. 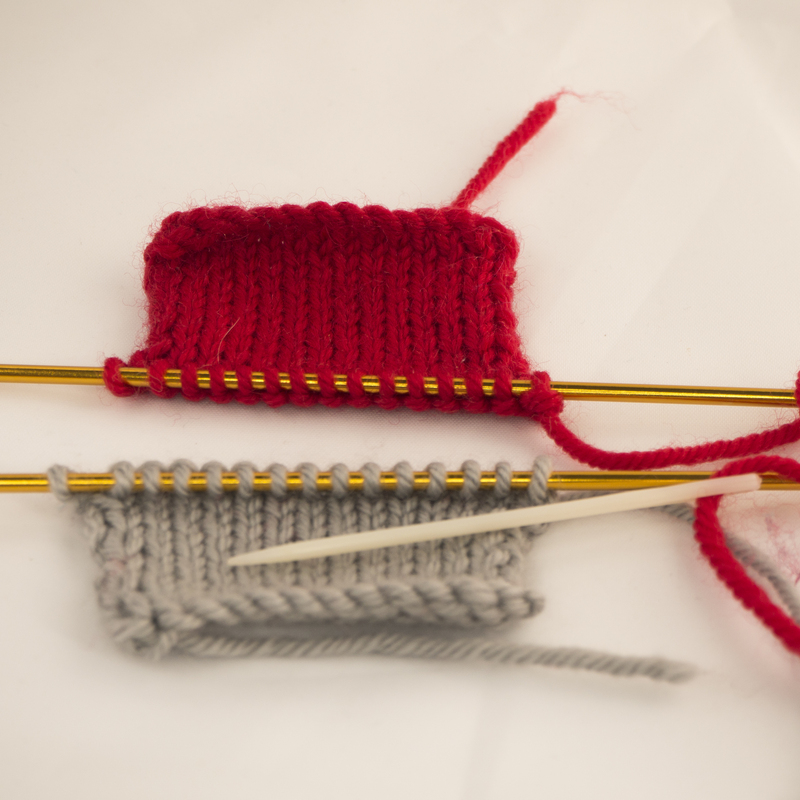 Take the needle through the first stitch on the back knitting needle as if to knit and leave the stitch on the knitting needle. 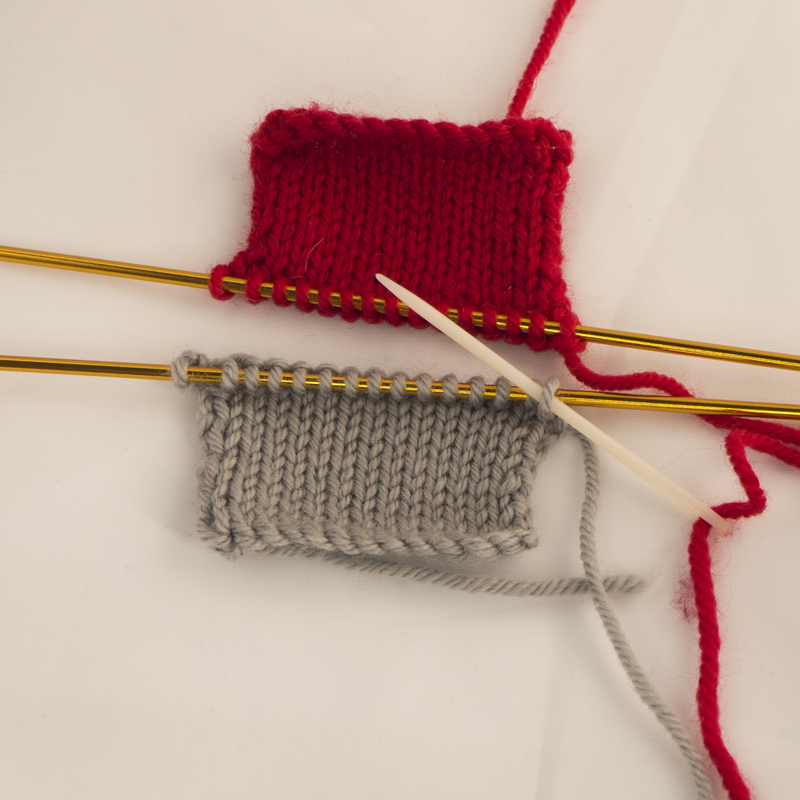 This is the preparation stage complete – we now work on pairs on stitches on each needle. 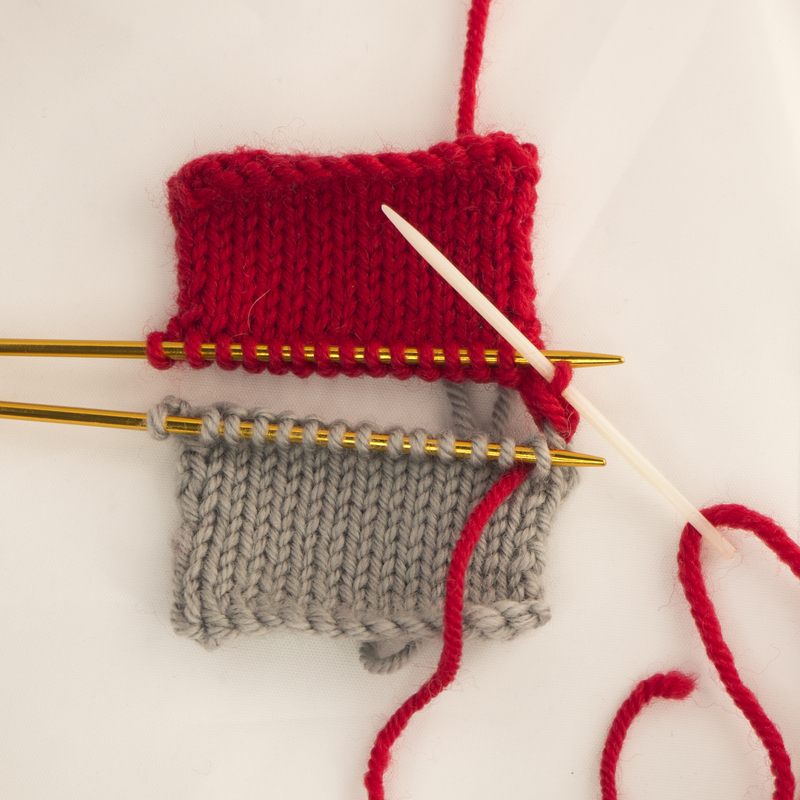 **Take your needle back through first stitch on front knitting needle as if to knit. 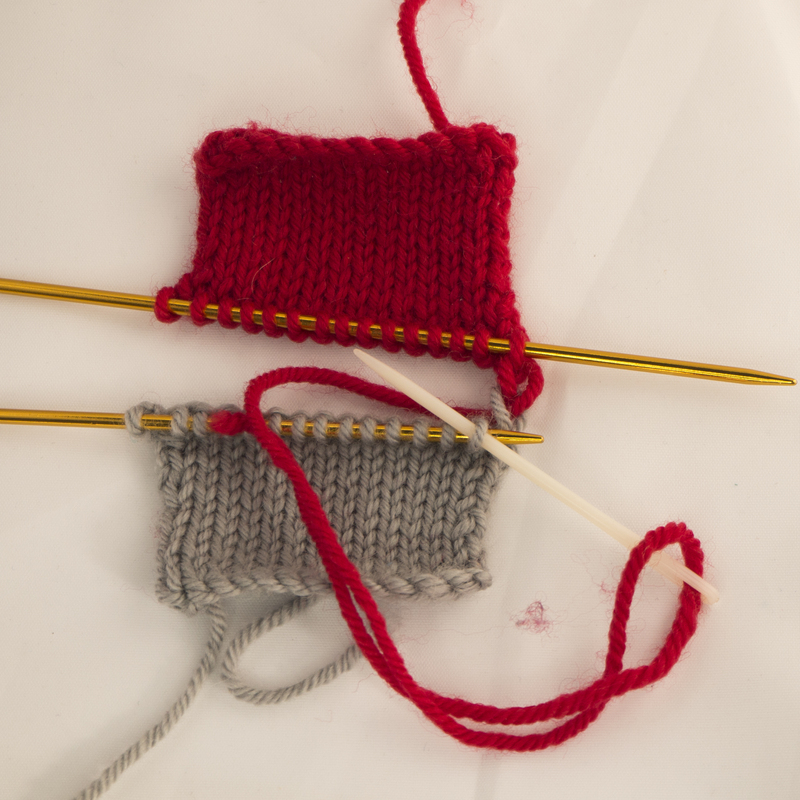 The yarn has now gone through this stitch twice so it can be slipped off the knitting needle. Now take the yarn through next stitch on this knitting needle as if to purl but leave it on the knitting needle. Then take yarn through next stitch on this needle as it to knit but leave on the knitting needle. 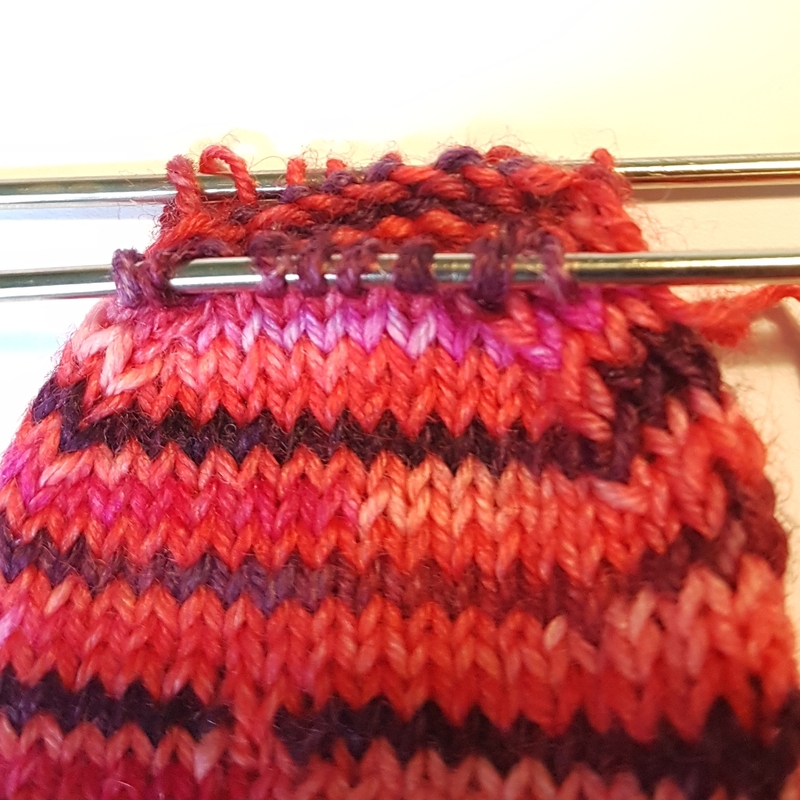 To join the toe you repeat from **in pairs of stitches on each needle, gently tightening up the sewn line as you work to create a smooth join. When you have connected all the stitches, fasten off on the wrong side. 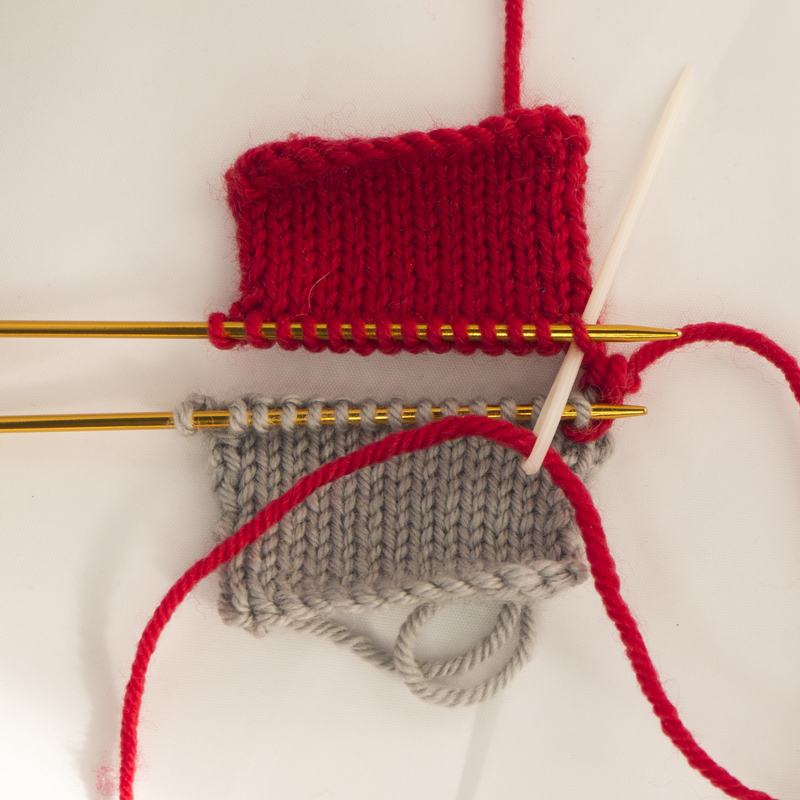 Do you knit in the opposite direction? No, I knit ‘right handed’ but would have to sew using my left hand for the needle. In that case you could try turning the toe so the working yarn is at the left of the rear needle. So your first stitch would be through the left most st on the front needle purlwise. So the main difference is the starting point, but the proedure is pretty much the same. That seems to make sense, will definitely try again. Many thanks … and Merry Christmas ! !